Q: Does Credit.com offer my credit report for free? A: No. However, we do offer a free summary of your Experian report along with two free credit scores. Q: What's the difference between a credit report and a credit score? A: Your credit score (which Credit.com provides) is a three-digit number calculated based on information from your credit report. Your credit report provides the details. Click here to learn more about the difference between the two. Q: How can I check my credit report for free on Credit.com? A: Unfortunately you can't check your credit report for free on Credit.com, but you can check a summary of your report from Experian. You can sign up here to view a summary of your Experian report for free. If you'd like to view your full report for free, you can go to annualcreditreport.com to obtain all 3 reports for free once every 12 months. Q: Does checking my free credit report card from Credit.com hurt my credit scores? A: No, checking your VantageScore 3.0 and Experian's National Equivalency Score on Credit.com will not hurt your credit. Credit.com credit check is only a soft inquiry. Soft inquiries may appear on your credit reports, but it will not cause your score to decrease. 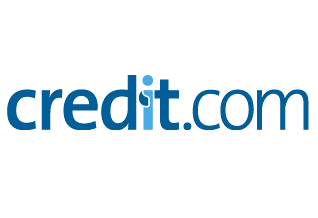 You can check your scores on Credit.com whenever you want without hurting your credit. Click here to read a more in depth explanation from our experts. Q: How often with my free Credit Report Card update? A: Your free Credit Report Card will update once every 14 days. Once you are signed in, your personalized dashboard will tell you the most recent date of your update and what day the next one will be. Q: What if I find something incorrect on my free Credit Report Card? A: Credit.com does not have the ability to add, remove or edit any information on your free Credit Report Card. All of our information is obtain directly from Experian. To dispute any inaccurate information you must contact them directly. You can do so by dialing 1-866-200-6020 or visiting Experian's online dispute center here. If you believe the information on your report is inaccurate due to fraud you can visit Experian's freeze center here to freeze your account. A: Yes! Credit.com uses bank-level encryption to ensure your data stays safe.